Douglas MacArthur (1880-1964) was an American general who commanded the Southwest Pacific in World War II (1939-1945), oversaw the successful Allied occupation of postwar Japan and led United Nations forces in the Korean War (1950-1953). A larger-than-life, controversial figure, MacArthur was talented, outspoken and, in the eyes of many, egotistical. He graduated from the U.S. Military Academy at West Point in 1903 and helped lead the 42nd Division in France during World War I (1914-1918). He went on to serve as superintendent of West Point, chief of staff of the Army and field marshal of the Philippines, where he helped organize a military. During World War II, he famously returned to liberate the Philippines in 1944 after it had fallen to the Japanese. MacArthur led United Nations forces during the start of the Korean War, but later clashed with President Harry Truman over war policy and was removed from command. Did you know? 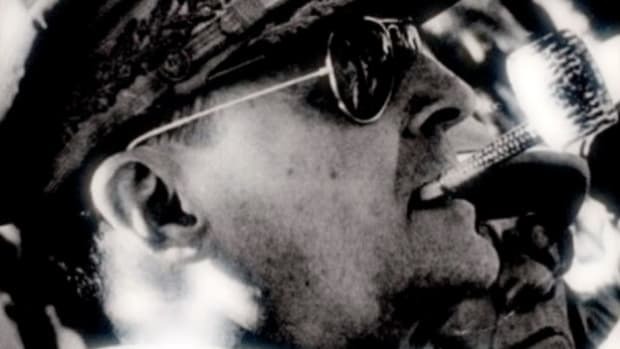 One of General Douglas MacArthur&apos;s trademarks was his corncob pipe. The Missouri Meerschaum Company, in business in Washington, Missouri, since 1869, made MacArthur&apos;s pipes to his specifications. The company continues to produce a corncob pipe in his honor. In 1903, MacArthur graduated at the top of his class from the U.S. Military Academy at West Point. 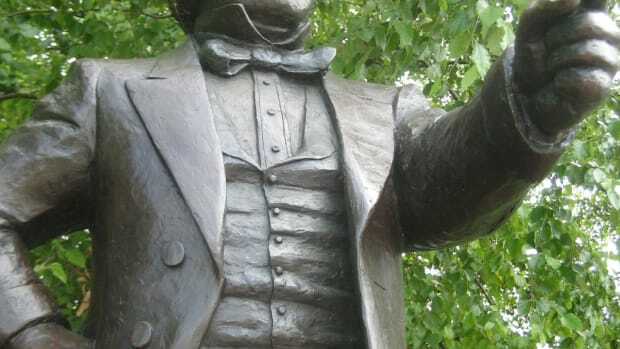 As a junior officer in the years leading up to World War I, he was stationed in the Philippines and around the United States, served as an aide to his father in the Far East and participated in the American occupation of Veracruz, Mexico, in 1914. After the United States entered World War I in 1917, MacArthur helped lead the 42nd “Rainbow” Division in France and was promoted to brigadier general. From 1919 to 1922 Douglas MacArthur served as the superintendent of West Point and instituted a variety of reforms intended to modernize the school. In 1922 he wed socialite Louise Cromwell Brooks (c. 1890-1965). The two divorced in 1929, and in 1937 MacArthur married Jean Faircloth (1898-2000), with whom he had one child, Arthur MacArthur IV, the following year. In 1930 President Herbert Hoover (1874-1964) named MacArthur chief of staff of the Army, with the rank of general. In this role, MacArthur sent Army troops to remove the so-called Bonus Army of unemployed World War I veterans from Washington, D.C., in 1932. The incident was a public relations disaster for MacArthur and the military. In 1935, after finishing his term as chief of staff, MacArthur was tasked with creating an armed force for the Philippines, which became a commonwealth of the United States that year (and gained independence in 1946). 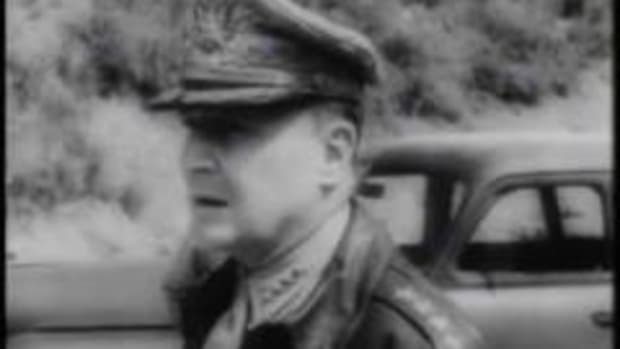 In 1937, upon learning he was scheduled to return for duty in the United States, MacArthur resigned from the military, stating that his mission wasn’t finished. 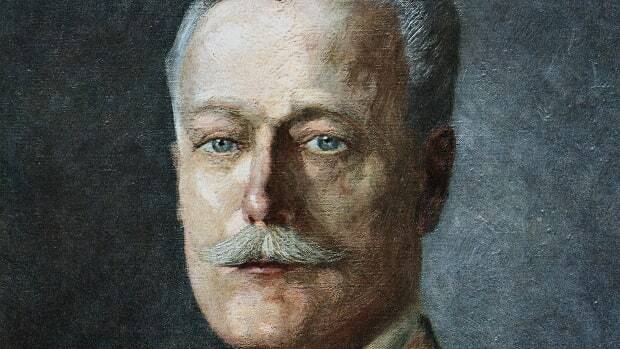 He remained in the Philippines, where he served as a civilian advisor to President Manuel Quezon (1878-1944), who had appointed him field marshal of the Philippines. In 1941, with expansionist Japan posing an increasing threat, Douglas MacArthur was recalled to active duty and named commander of U.S. Army forces in the Far East. On December 8, 1941, his air force was destroyed in a surprise attack by the Japanese, who soon invaded the Philippines. MacArthur’s forces retreated to the Bataan peninsula, where they struggled to survive. In March 1942, on orders from President Franklin Roosevelt (1882-1945), MacArthur, his family and members of his staff fled Corregidor Island in PT boats and escaped to Australia. Shortly afterward, MacArthur promised, “I shall return.” U.S.-Philippine forces fell to Japan in May 1942. In April 1942, MacArthur was appointed supreme commander of Allied forces in the Southwest Pacific and awarded the Medal of Honor for his defense of the Philippines. He spent the next two and a half years commanding an island-hopping campaign in the Pacific before famously returning to liberate the Philippines in October 1944. Wading ashore at Leyte, he announced, “I have returned. By the grace of Almighty God, our forces stand again on Philippine soil.” In December 1944, he was promoted to the rank of general of the Army and soon given command of all Army forces in the Pacific. 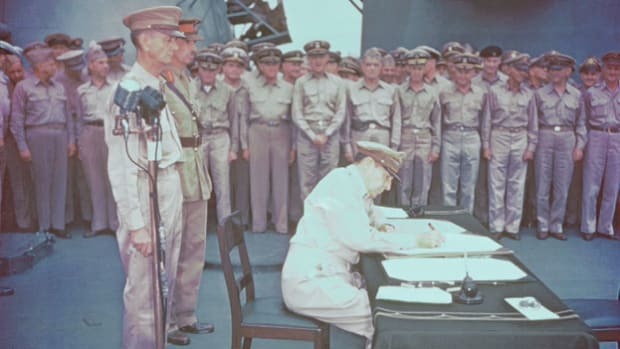 On September 2, 1945, MacArthur officially accepted Japan’s surrender aboard the USS Missouri in Tokyo Bay. 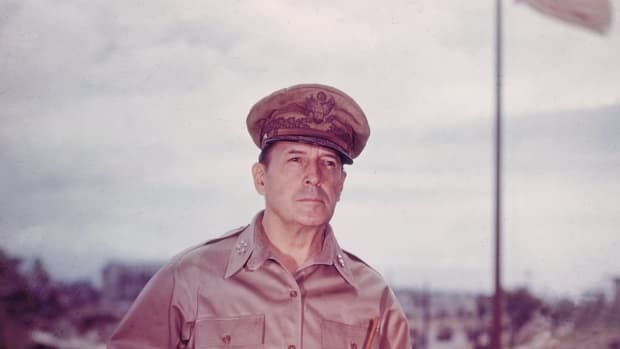 From 1945 to 1951, as Allied commander of the Japanese occupation, MacArthur oversaw the successful demobilization of Japan’s military forces as well as the restoration of the economy, the drafting of a new constitution and numerous other reforms. In June 1950, Communist forces from North Korea invaded the western-aligned Republic of South Korea, launching the Korean War. Douglas MacArthur was put in charge of the American-led coalition of United Nations troops. That fall, his troops repelled the North Koreans and eventually drove them back toward the Chinese border. 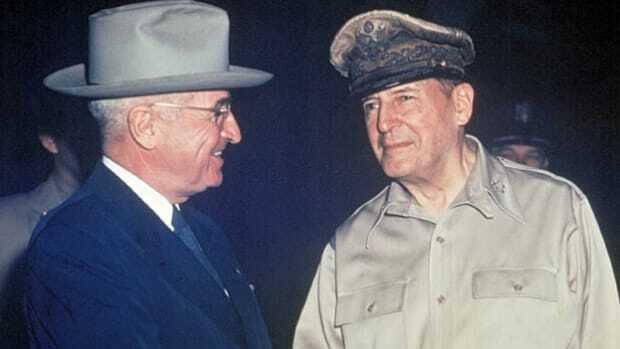 MacArthur met with President Truman, who worried that the communist government of the People’s Republic of China might view the invasion as a hostile act and intervene in the conflict. The general assured him the chances of a Chinese intervention were slim. Then, in November and December 1950, a massive force of Chinese troops crossed into North Korea and flung themselves against the American lines, driving the U.S. troops back into South Korea. MacArthur asked for permission to bomb communist China and use Nationalist Chinese forces from Taiwan against the People’s Republic of China. Truman flatly refused these requests, and a public dispute broke out between the two men. MacArthur’s dismissal set off a brief uproar among the American public, but Truman remained committed to keeping the conflict in Korea a “limited war.” Eventually, the American people began to understand that MacArthur’s policies and recommendations might have led to a massively expanded war in Asia. MacArthur and his wife took up residence in a suite at New York City’s Waldorf-Astoria Hotel. In 1952, there were calls for MacArthur to run for president as a Republican; however, the party ultimately chose Dwight Eisenhower (1890-1969), who went on to win the general election. That same year, MacArthur became chairman of Remington Rand, a maker of electrical equipment and business machines. MacArthur died at age 84 on April 5, 1964, at Walter Reed Army Hospital in Washington, D.C. He was buried at the MacArthur Memorial in Norfolk, Virginia.